From the creator of Tail of the Dragon (us 129) in Coast to Coast, and the G.A.T…..comes my next map project…. 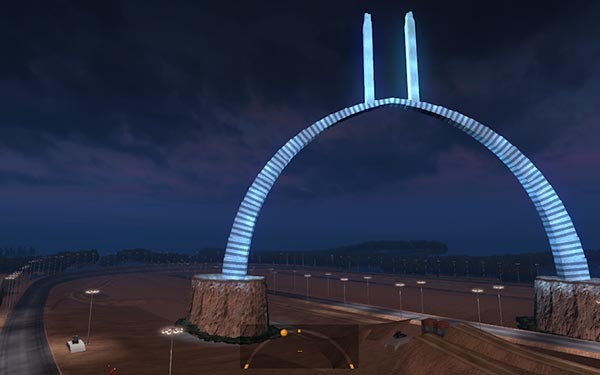 It’s a raceway, drag strip, offroad, & rally course with jumps. Built on Mantrids Coast to Coast v1.8 (required). 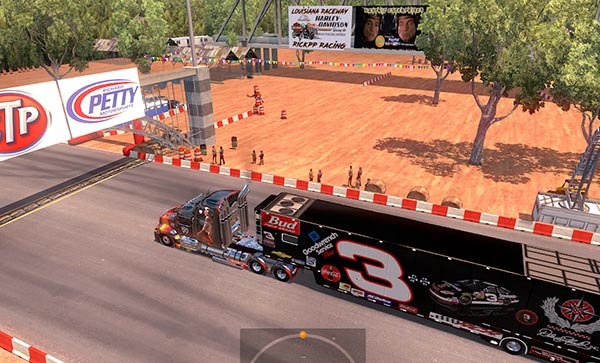 Race your modded truck and see just what it can do on the NASCAR style raceway with 47 degree banks in the turns. Added underground escape road into New Orleans, custom billboards, and revisions and fixes across the board. that doesn’t feed your fancy, the offroad course that surrounds the track will test your driving skillz. shout-out to: Mantrid for incorporating my images into custom billboards, Losevo58 for the nice work on the Transformer v1.3 truck that I used in the video & also Team 5 star, Bart Modding, Custom Colors, & the crashman for the awesome earnhart trailer as well.